Corrections happen. Investors know this. Spooked by the downturn, they sell when the market declines. It’s reactionary. 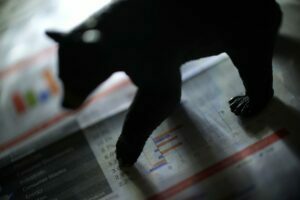 Their fear is that “this time, it’s not going to come back.” This fear of long-term doom has never been realized, however – even after the most serious of corrections. And that’s reassuring if you’re a long-term investor with time on your hands. It’s not-so-reassuring when you’re retired, and investments generate your income in the here and now. Experts feel we may see further corrections like the brief 10-day event we saw earlier this year in February. Predicting a correction is like predicting the weather, however. It’s impossible to do with absolute certainty. But we can look for the signs of a possible correction – and more accurately forecast the results of corrections when they do happen by looking at the past. Let’s take a look at the S&P 500 data from the past 50 years where there has been a correction, which is defined as being greater than 10% but less than 20%. There have been 16 of these events. If you utilize the data from all 16 corrections, the average time measured in days to recovery has been 121 days. The average time measured in days for the decline has been 87 days. The average percentage drop in the market was 12.4%. During the same 50-year period, there were 11 events where the market decline was greater than 20% – which is the definition of a bear market. These bear market statistics show a long stretch of time. The average time measured in days to recovery was 684 days. The average time measured in days for the decline was 400 days. Perhaps most painful of all is the fact that the average percentage drop during these bear market cycles over the past 50 years has been almost 32%. The most important takeaway about these bear market corrections is that bear markets not only hit harder, they also last a lot longer, having a much bigger negative impact on an investment portfolio. Those who still see retirement as an event on the horizon should look at the historical statistics of corrections and bear markets and take comfort. Investing during these downturns can vastly increase the value of holdings at retirement because you bought at discount during this cycle. Investors who’ve reached retirement, however, don’t have the benefit of time to wait out a correction, much less a bear market – and they can’t have the same outlook. Market turmoil could impact your income. And you are now 11 years older than you were back in 2007 before the last crash. My clients no longer have the time nor the stomach to whether the downturn. I believe we are in what I am calling “The Central Bankers Bubble” and you can see why in my article found on Kiplinger by clicking here. If you are retired and looking to maintain income and preserve your wealth, it may be time to look at an income strategy that’s deigned to be protected from stock market corrections and bear markets. Learn how we can help you mitigate risk and the potential for massive income swings. 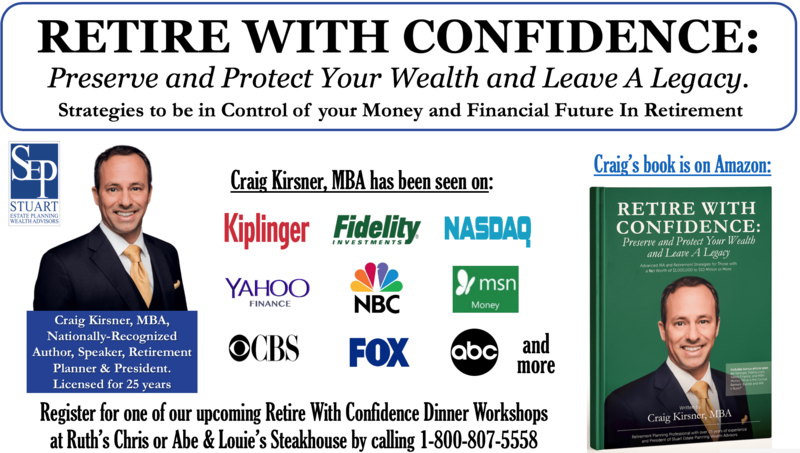 And sign up for an upcoming retire with confidence dinner workshop at Ruth’s Chris or Abe & Louie’s Steakhouse in Boca Raton or Fort Lauderdale by calling 1-800-807-5558.